Providing exceptional customer service to guests. The “Be Our Guest” customer service training module uses the acronym GUEST to train employees on how to deliver exceptional customer service. This module teaches employees the key elements of greeting and understanding guest needs. They will also learn the importance of proactive guest service and the impact it has on a satisfying guest experience. Your employees may not know what delivering exceptional service looks like, so it's up to you to show them. 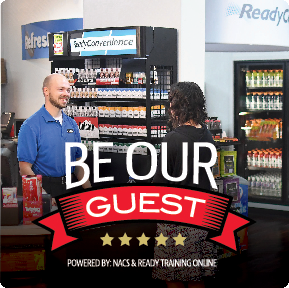 Be Our Guest customer service training is a good first step in ensuring that all your customers receive the exceptional service they deserve.